Home > Hairfinity Blog: Healthy Hair Tips > Learn > Chemical Straighteners: Are They Really That Bad For Your Hair? Chemical Straighteners: Are They Really That Bad For Your Hair? For some women, chemical straighteners are just a way of life. But are they really that bad for your hair? According to Laken Rose, senior artistic manager at Kenra Professional, chemically straightening your hair is a pretty personal decision – but it’s one that will permanently alter the texture of your hair. 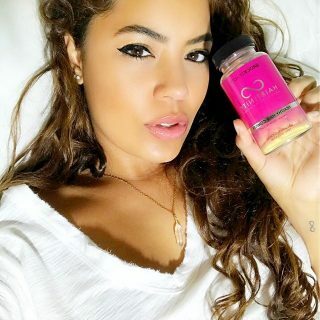 “Your texture is altered using chemicals that break the cysteine bonds—which holds the hair fibers together – in the hair to create a pin straight result,” Rose explained to StyleCaster. “Because the natural bonds in the hair are permanently altered, the hair will not automatically revert to its natural state and has to be grown out,” she adds. If you’re heading to the salon for a straightening treatment, there are a few basics you should know before you sit down in your stylist’s chair. There are two common straightening treatments, a Japanese method and a Brazilian one, but each produce radically different outcomes in hair. Japanese straightening, also called thermal reconditioning, “weakens the hair, breaking down each follicle’s cystine bond [with a thioglycolate compound]…so that it’s vulnerable to restructuring,” writes beauty editor Deborah Schoeneman at New York Magazine. This process is notoriously hard on all hair types and is meant to last about six months. And, despite its popularity, the Brazilian straightening treatment – also called a Keratin treatment – isn’t much better for your hair. This semi-permanent treatment lasts anywhere from three to five months before you begin to notice new growth. With both treatments, you may notice that your hair becomes more porous and dry – making it more important than ever that you pay attention to symptoms like a dry, itchy scalp or an imbalance in your scalp’s pH. Beyond the need for hair repair post-treatment, there are health risks associated with the process of chemical straightening itself, which is why many stylists caution against it altogether. “In general, every client and stylist [exposed to keratin chemicals] complains of burning eyes, difficulty breathing, and burning sensations,” stylist Kelly Merriman told Cosmopolitan. That’s because many of the chemical compounds used in straightening treatments are closely related to formaldehyde – that’s right, the chemical used to preserve dead bodies. “When the manufacturers say not to use [their product] on pregnant women, that should be the first clue that their products are unsafe,” stylist Natalija O’Toole, who left a salon to avoid the chemicals, explained to Cosmopolitan. Thankfully, there are a few formaldehyde-free treatments coming onto the market, though they’re not as strong as treatments that contain formaldehyde. “Results don’t usually last more than two or three months, and these treatments won’t dramatically soften your curl pattern the way formaldehyde solutions can,” writes beauty editor Jenna Rosenstein at Allure. Whatever decision you make, it’s important to talk to your stylist and find out more about their process – as well as the products they use – before committing to a potentially dangerous treatment. If you’re committed to having straight hair, then it’s time to have a serious sit-down with your stylist. “The best salons and chemical specialists will give you an in-depth consultation,” stylist Diane Stevens told NBC’s Today. Chemical specialists are trained in “analyzing your hair’s elasticity, porosity, texture, density, curl pattern in various areas and overall health of hair before recommending which smoothing system is best,” Stevens added. According to Cosmopolitan, it’s also important to ensure your stylist has the bandwidth to handle the procedure. Even with proper ventilation in the salon, coming into constant contact with strong chemical straighteners can cause serious health problems for you and for your stylist. Feeling the burn? Make sure you treat it immediately, says Ron Williams, who serves as national educator for Phyto. “Any chemical that causes a burn should be rinsed off immediately with tepid water,” Williams explained to StyleCaster. 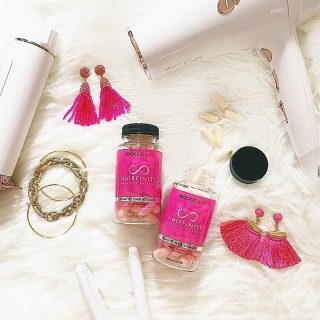 Finally, let your stylist know what other kinds of treatments you’ve used on your hair – since this can impact how your hair and scalp react to the treatment. Any time you use chemicals to alter the way your hair looks and feels, you’re going to need some serious hair TLC. Most stylists recommend using a sulfate-free shampoo and conditioner, as well as steering clear of salt or chlorine, which can sap moisture from already-fragile hair. But, remember, no matter what kind of shampoo you use, there’s no moisturizing your hair back to its original texture. “The only way to 100% get rid of ‘permanently’ chemically-treated hair is to cut it off,” confirms Angelica Di Guglielmo at StyleCaster. 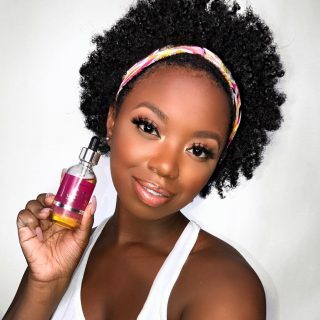 Even if you don’t want to rock super-short hair, you can start trimming a little at a time, says stylist Myss Monique. “Every time I washed my hair the dead ends would get all knotted up, so trimming my hair made it more manageable and cut down on my styling time,” Monique told Self. Remember to schedule a trim with your stylist every 6 to 8 weeks – or brave the scissors at home. Navigating the growing-out process after getting your hair chemically straightened is never easy. Your natural texture is gone, and you can easily get stuck sporting two different textures. “When you grow out chemically straightened hair, the curls near your scalp clash with the rest of your hair,” stylist Jacqueline Tarrant explained to Cosmopolitan. 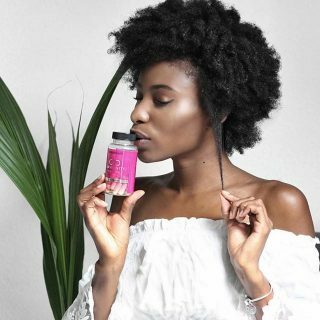 While it’s not always easy for women to embrace the natural hair movement, going natural does have its advantages – especially if you’ve been straightening your hair for as long as you can remember. 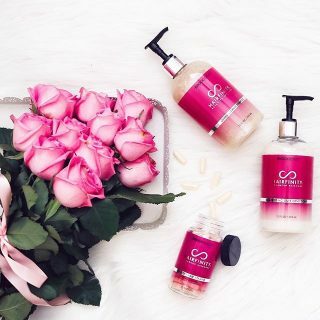 Not only is it easier to wash-and-go, but you’ll also give your hair a chance to recuperate from chemical or heat damage. 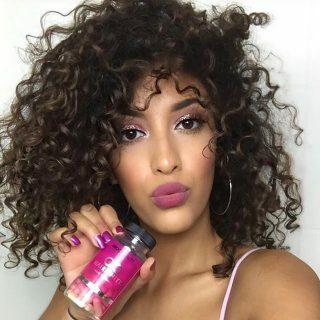 “Whether your hair is fried from heat, damaged from styling, or changing with age, you need to give it moisture daily,” writes Kristin Collins Jackson at Bustle. “Using water-based products like aloe vera is a totally acceptable way to get in some daily water, but also changing your style to a wash-n-go will help you get in the habit of wetting your hair often,” she adds. With protective styling, as well as regular co-washing and masking, your hair will be back on the road to health in no time. While chemical straightening is a common treatment, it can damage hair if you’re not careful. Even if you work with a talented stylist, it’s important to remember that the texture of your hair will never be the same afterwards. Of course, this is an incredibly personal decision, and there’s plenty you can do to work with your stylist to mitigate damage. If you do take the leap, be sure to stay on top of your moisturizing treatments, and schedule regular trims to encourage new, healthy growth in the future.